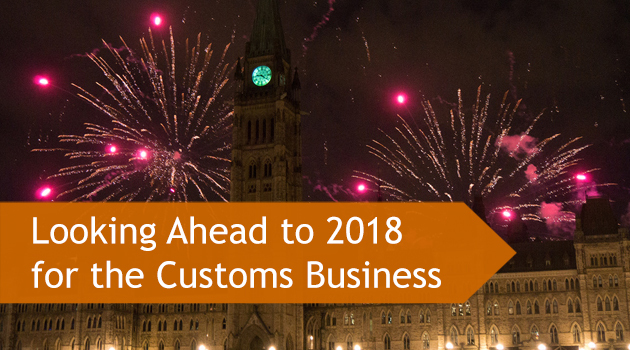 Looking Ahead to 2018 for the Customs Business - Inter Global Logistics Inc. The North American Free Trade Agreement (NAFTA) negotiations have been ongoing throughout 2017, and the talks will continue into 2018. It’s looking more and more likely that these talks may fail, as President Trump is no fan of the agreement. There has been chatter in the press that the U.S. negotiators have been putting forward “poison pills” to sabotage talks and ensure that no deal will be reached. If this happens, there’s no way to tell exactly what effect it will have on the Mexican, American, or Canadian economies. All we can be sure of is that the fallout of NAFTA would continue long after 2018, as Canada would have to form new trade agreements with both the U.S. and Mexico separately. Many companies that are heavily invested in Mexico are terrified about what may happen if the deal is completely scrapped. 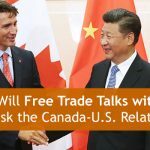 In terms of Canada-U.S. relations, odds are that the Canada-United States Free Trade Agreement that existed prior to NAFTA would go back into effect. Although this agreement is rather archaic by today’s standards, as it was implemented in 1989, it could provide a framework for an updated trade deal with the U.S. Regardless, the dissolution of NAFTA would create chaos in the customs business. 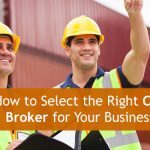 This is a fantastic reason why working with a customs brokerage like Inter Global Logistics is such a good idea for both large and small businesses. We know the rules and can quickly adapt to any changes, ensuring that your imports and exports are properly handled, regardless of everything else happening in the world. 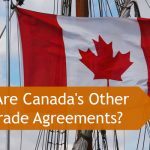 Although the Canada-European Union Comprehensive Economic and Trade Agreement (CETA) is provisionally in effect today, there are still some parts of it that won’t come into force until after it’s ratified by all EU member states. For example, portfolio investment rules won’t come into full force until Wallonia, a region of Belgium that almost prevented CETA from being signed in fall of 2016, convinces all other groups to address their many concerns about the trade deal’s terms. At the moment, only seven of the 28 EU members states have officially ratified the deal. We will also be seeing how the United Kingdom manages BREXIT, and how that will affect CETA. At the moment, all indications show that BREXIT hasn’t exactly been going smoothly. Unless the U.K. government starts to make significant changes in the way they’re handling negotiations, you may see things get even messier throughout 2018. Although there won’t be a Canadian election this upcoming year, the U.S. will have their midterms. Although the President won’t be on the ticket, there looks to be a pretty good chance that the Democrats could take the House or Senate away from the Republicans. If you think the federal government of the U.S. was dysfunctional now, just wait. Although this may or may not have a direct impact on the customs business, we all know that U.S. domestic affairs can have a huge impact on the Canadian economy. Huge world events, such as further instability in the Middle East, danger of escalation in North Korea, or even just the implementation of the border wall in Mexico could broadly affect Canadian imports and exports. British science fiction author Douglas Adams once said, “Trying to predict the future is a mug’s game. But increasingly it’s a game we all have to play.” He was completely right. The world is changing so fast that it can be difficult to keep up. That’s why you want an experienced customs brokerage like Inter Global Logistics in your corner, keeping up with all of the changing rules and always working towards your business’ success. If you’d like more information about Inter Global Logistics, please free fill out our contact form, or give us a call at 1-647-428-6537, or toll free at 1-866-777-7556. Just ask for Sheldon or Ken!